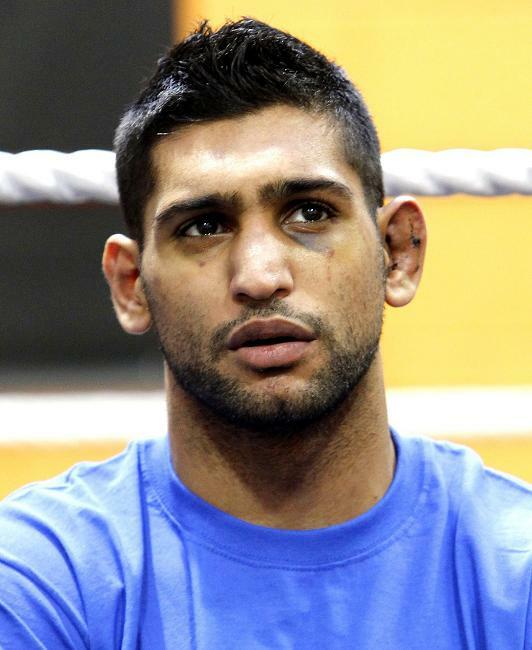 Amir Khan has been granted a rematch with Lamont Peterson by the WBA, following an appeal by Golden Boy and Team Khan. Khan lost his IBF and WBA light-welterweight titles to Peterson in December following a split decision victory for the American. 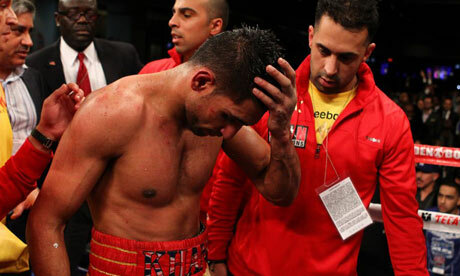 The fight had its fair share of controversy as Khan was deducted two points for pushing by referee Joe Cooper, while “mystery man” – IBF associate Mustafa Ameen – was judged to have interfered with the judges’ scorecards. Since the fight the Team Khan and Golden Boy have been very vocal in their protest and have now finally got their wish. They also launched a complaint with the IBF and a hearing has been scheduled for January 18. “Peterson’s split-decision victory over Khan in Washington DC has been riddled with controversy as a result of a plethora of anomalies in connection with the bout,” a statement read. “Acting under its authority pursuant to WBA Rule C.26, the WBA concluded that the bout’s outcome was impacted by referee Joseph Cooper’s questionable failure to credit Khan with a knockdown in round one and his questionable decisions to deduct points from Khan in rounds seven and 12. 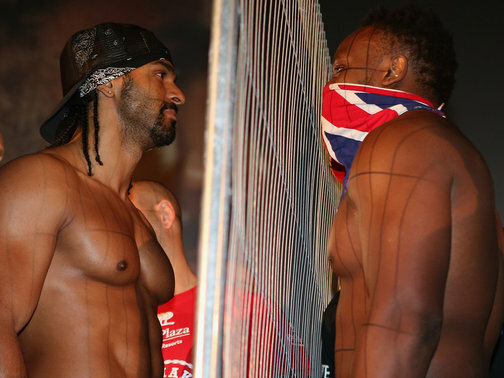 “As further cause to order the rematch, the WBA also pointed to Mr Ameen’s apparent intrusion into the scoring process as well as possible discrepancies between the score sheets of the two sanctioning organizations and the local athletic commission. “In its resolution mandating the rematch, the WBA went out of its way to note that, under normal circumstances, it would not disturb the discretionary function of a referee. Well I suppose a rematch was always going to happen once Team Khan and Golden Boy lodged their protest but I think a rematch was warranted just because of the closeness of their first fight. But the way in which Team Khan have acted in getting this rematch has left a bad taste in some fans mouth, who believe Khan has been “classless” and should be embarrassed by his behaviour. He’s never really given Peterson much credit or acknowledged his mistakes/flaws that contributed to the closeness of their first fight, instead choosing to label the fight a “fix” instead. Now the rematch is going to happen Khan cannot make the same mistakes he did in the last fight. He seemed too preoccupied with moving up to welterweight and a potential fight with Floyd Mayweather Jr.
For me I can see this fight going exactly the same way as the first unless Khan has significantly improved since that meeting, which I can’t see. Khan has trouble with pressure fights and guys who fight on the inside, proven in the first fight with Peterson and with his fight against Marcos Maidana. I really don’t think Khan has the boxing I.Q. to make adjustments in the fight when things are not working out for him. For instance, he complained about Peterson coming in low with his head. Instead of complaining to the referee and pushing Peterson off, why not take a step or two back and throw an uppercut? He seems fine when sticking to a game plan that is working but once that goes he doesn’t seem able to make the adjustments during the fight. He resorts to getting into a war, which is great for the fans, and trying to prove his chin. But I’m expecting Khan to win the rematch via points. I still think he won the first fight by one or two rounds but he made the fight a lot harder for himself. If Khan can stick to a game plan and learn to make the right adjustments in a fight, he should win this fight. I can’t see Peterson winning a close fight again. It’s a good fight for boxing fans to see because their first fight provided great entertainment so let’s hope the rematch lives up to the billing. Khan has to stay focused on the task in hand here though. He’s already said (now the rematch has been given) he’ll knock Peterson out and will fight Mayweather in the next 18 months, which makes me think he hasn’t learned from the first fight. He has to stay focused on Peterson and work on his weaknesses in order to get past Peterson. If he manages that he has to fight Timothy Bradley, just so we can see who the best fighter at 140lbs really is. 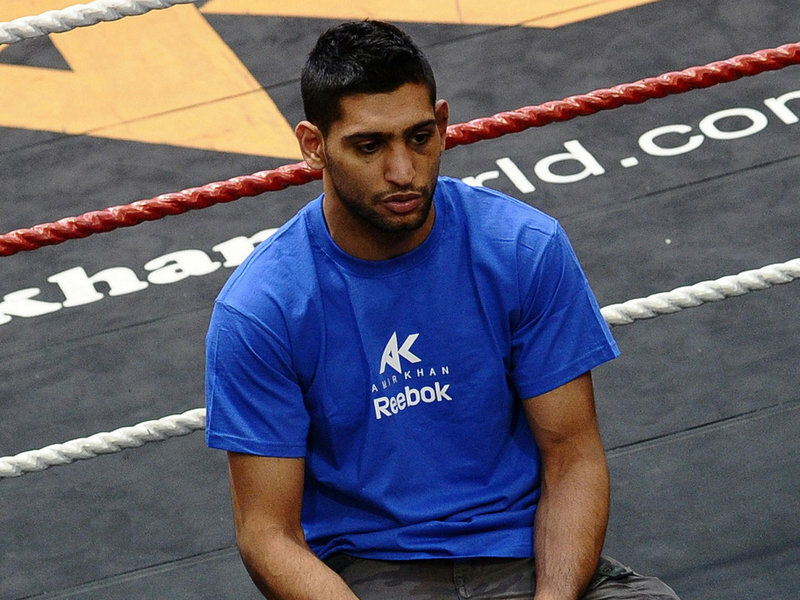 After that Khan can move up to welterweight but he’s a long, long, long way off from fighting Floyd Mayweather Jr.